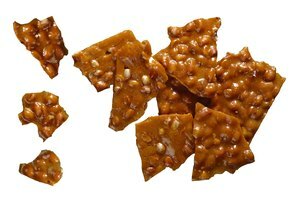 Peanut brittle is such a treat. 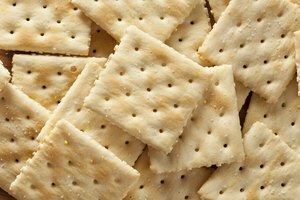 This sweet and simple confection packs a seriously satisfying crunch, but only if you store it properly. Whether homemade or store-bought, peanut brittle fares best in a cool but very dry environment. 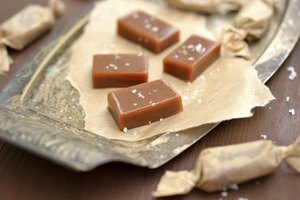 Moisture softens peanut brittle, robbing it of that signature crunch, so always store the candy in a completely dry, airtight container. Any plastic container or glass jar with a tight-fitting lid is fine. Ziplock plastic storage bags work, too. Use wax paper to separate layers of peanut brittle. Leave a small gap between the pieces in each layer to prevent pieces from sticking together. You can also wrap individual pieces in plastic wrap before stacking them in an airtight container. Store the container in a cool, dark and dry location to preserve the candy's crunch. Keep it away from sunlight and the stove. Don't store it in the refrigerator—humidity turns it into a soft imitation of itself. In a damp climate, seal the storage container in a ziplock plastic bag for an extra buffer of protection. Proper storage should keep brittle fresh for up to two months—if you can resist eating it all at once!